Crusaders (Mediaeval [US. Medieval] soldiers) attack a castle. 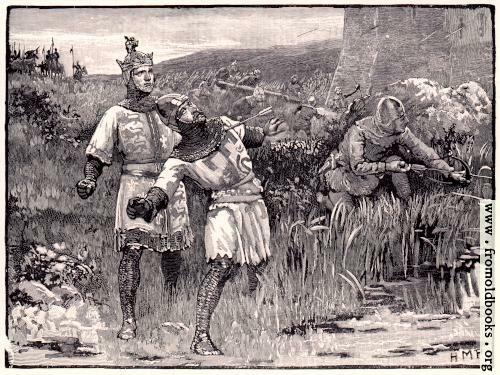 One of them has just been struck by an arrow. The man behind him wears a crown, and his hauberk bears the three lions of England. 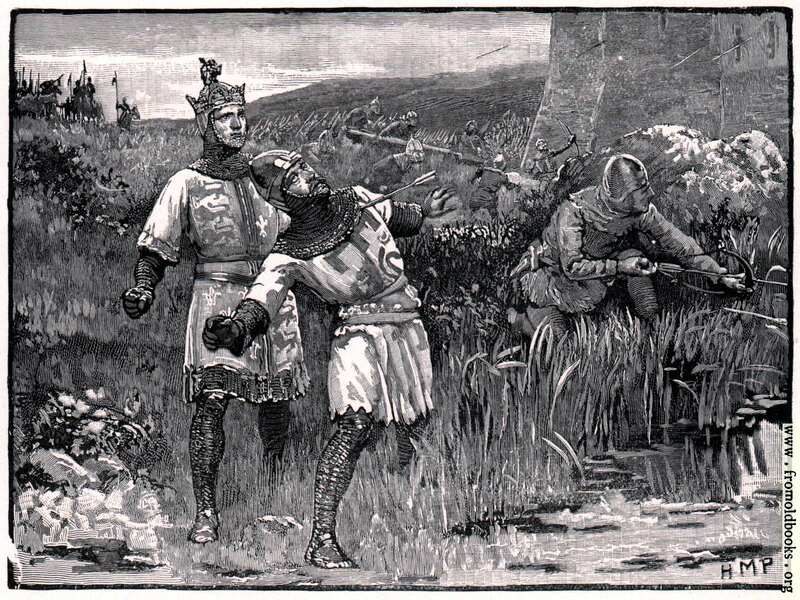 To their left another soldier, wearing a helmet and chain mail, draws a bow, preparing to shoot an arrow. In the distance are horsemen with spears held upright.